The stands at the Pleasant Grove Sports Complex begin to fill as community members gather at FBC Pleasant Grove’s patriotic event. PLEASANT GROVE, Ala. — Instead of taking a summer missions trip to another state or across the world, First Baptist Church, Pleasant Grove, decided to take a missions trip to its own community. On June 28, hundreds of Pleasant Grove-area residents gathered at the Pleasant Grove Sports Complex and were served by the church in multiple ways as they served hot dogs; set up inflatables and a rock climbing wall; held a worship service where Pastor Kevin Blackwell shared the gospel; and held a fireworks show after the sun went down. Children’s pastor Dan Williams, who helped organize the event, said this was the first year to do something like it and that he’d like to see it happen again. “This really allows more of our members to come and be a part of a missions trip of sorts,” Williams said, who estimated more than 120 church members helped the event come together. The church sent out a mailer to Pleasant Grove residents and utilized yard signs to get the word out about the event. 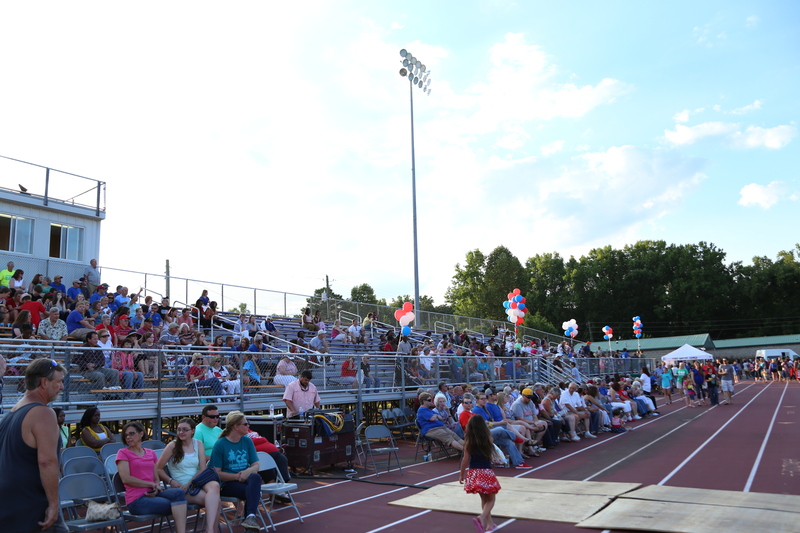 Blackwell, who has been the church’s interim pastor for about three months and who grew up in Pleasant Grove, said the patriotic event was just one outreach to the community this summer. Every Saturday, 30–40 church members gather at key locations across the city to pray for the community. Other events throughout the summer will take place to specifically reach and serve the people of Pleasant Grove. He shared a gospel message during the worship service that began around 7 p.m. Several church members were available after the message to pray with those in need and answer any questions they had about the gospel or about the church. The Alabama Baptist will publish a story on this event in an upcoming issue. This entry was posted in Home and tagged evangelistic outreach, event, fireworks, First Baptist Church Pleasant Grove, patriotic event. Bookmark the permalink.